"Just a short note to express thanks for new laptop, but more importantly, the superb support given by Simon, who at this moment is still setting up, with my very demanding personal profile, with no complaints, and a great attitude. His attention to ensuring things are correct is commendable. Ian Barral, MOL Logistics (UK) Ltd."
"We recently moved office and I would like to say praise the way Albacore dealt with our comms move with efficiently and ease"
"Hi Charlie, I just wanted to email to say thank you (words that seem very inadequate) for all your help in changing over to your company." "Your guy today was fantastic. Really helpful and knowledgeable. Great guy. Got everything done and he didn’t stop." "You have taken so much stress out of everything and what a tidy job... All the best and see you again in the future!" "David had us fully sorted in couple of hours and saved the day (and my blood pressure from going sky high) so his expertise was very much appreciated." "We know that if something goes wrong, which is very rare, Albacore will come out and sort it"
"I would like to place on record my sincere thanks to Albacore Systems Ltd and in particular to Matt for his excellent attention to detail "
"100% complete back up from all the Albacore team in our moment of need"
"All went well and thanks for your professionalism"
"Thanks for the new laptop it’s great. Raj was really helpful and everything seems to be working perfectly." "I can still work from home just the same as I would be if I were in the office itself. That is vital for me." "The Albacore team migrated our data in stages, thus allowing us to seamlessly switch from old to new server. I could not be more happy with the way Albacore work. " "Albacore provided excellent service, being flexible and quick to respond to our needs"
"Albacore understands the clients concerns and that’s why we appreciate what you do even though at times it goes unsaid." "We would like to thank you and the Albacore team for a great job in setting our network up"
"Thanks for sorting this out the other day. The guy that was sent (Matt) was very good. We were very impressed with him." "Huge thanks to Albacore for surpassing the call of duty during the late hours of the evening to re-establish our CCS link." "I can honestly say that we have had zero downtime, no loss of data, and we have been able to perform our functions as a business without so much as a hic-cup!!" "I just want to thank you for your hard work in getting us sorted out with the connection, very much appreciated"
"Your guys are a credit, both Matt’s and Charlie and the new guys are coming on a treat." "Just wanted to say thanks for yesterday - the difference on my PC is incredible. May be a short term fix I guess but certainly worth doing. Thanks again for your assistance." "Just wanted to say many thanks for your assistance helping to rectify our internet connection which is greatly appreciated!" "Thanks again for a smooth change over. Five star service as ever!" 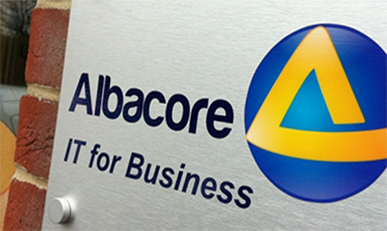 Albacore have been providing specialist IT solutions for businesses since we were established in 1992. Based at our HQ in Southampton, our team of specialist engineers service our customers all over the UK. 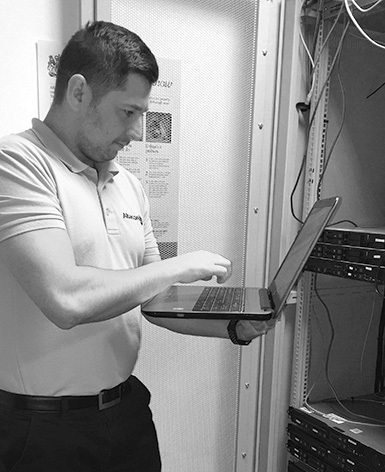 We use state-of-the-art on-line diagnostic and remote control software to troubleshoot problems and bring the fastest possible resolution to problems. Should on-site assistance be required, we offer a 4 hour on-site response. Our mission is not to just look at problems but to provide the fastest possible fix so that you can get back to work. We also design IT solutions incorporating servers, networking, PC’s, MACs and software to meet every business need. ACP - Albacore Customer Portal. A direct link to your ASM Sequoia data from your home or mobile. Albacore are a Nominet tag holder authorised to register .UK domain names, click here for more information. Albacore offer a range of web-related services. Are you looking for a new, modern, mobile friendly design? The NCTS Help Desk have advised that due to a major system issue the NCTS system is unavailable until further notice. The NCTS Helpdesk are invoking the business continuity procedure with immediate effect and until further notice. This outage is necessary for essential CHIEF maintenance work and HMRC apologise for any inconvenience. Scheduled - CHIEF Downtime: Fri 12/4 22:59-01:00 hrs. CNS apologise for any inconvenience. CNS CHIEF service disruption: Investigatations are still ongoing. Further update to follow. CNS apologise for the inconvenience. CNS CHIEF service discruption: CNS are currently working to restore this service as soon as possible. A further update will follow. The NCTS Help Desk have advised that the issues with messages and access affecting the NCTS XML and web routes now appear to have been resolved. With immediate effect the Business Continuity (formerly Fallback) Procedure is revoked. We have just advised that there is an issue logging into the Govt Gateway. This is preventing access to some HMRC systems. Reports from AFSS Members indicate this impacts on multiple systems including EMCS and NCTS. HMRC have advised that work is ongoing to resolve this issue.